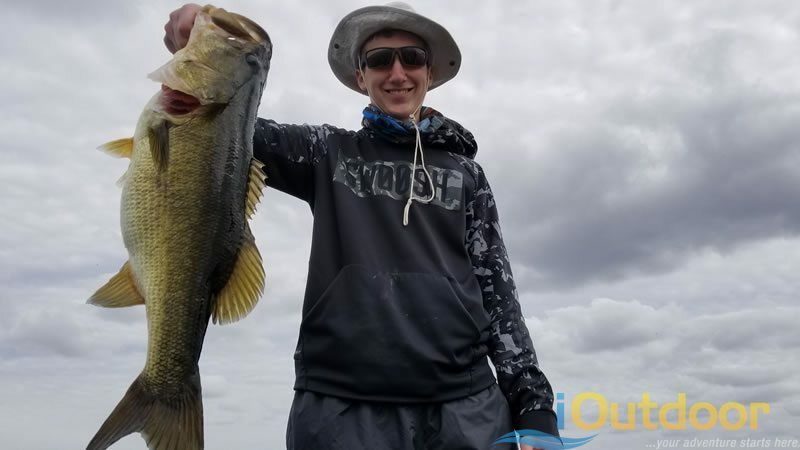 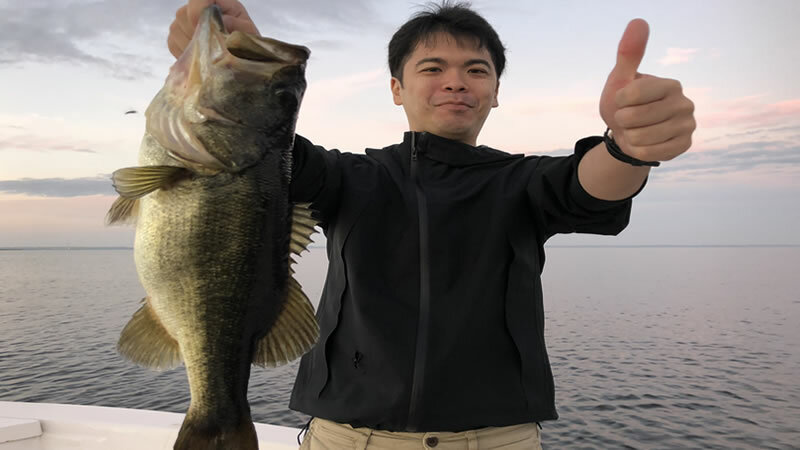 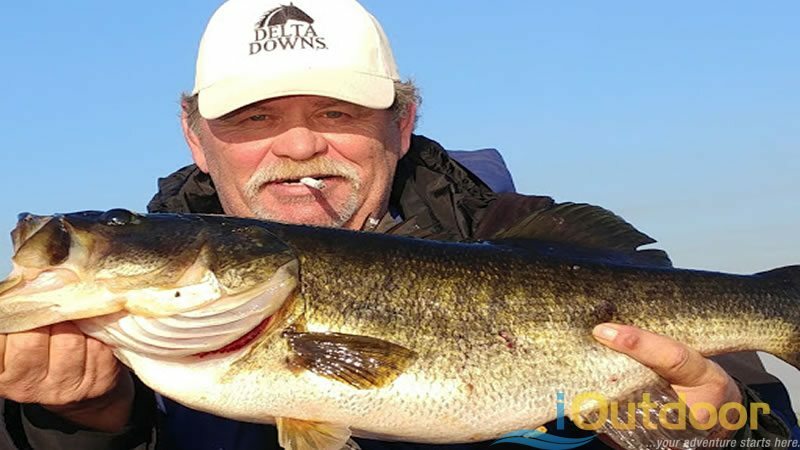 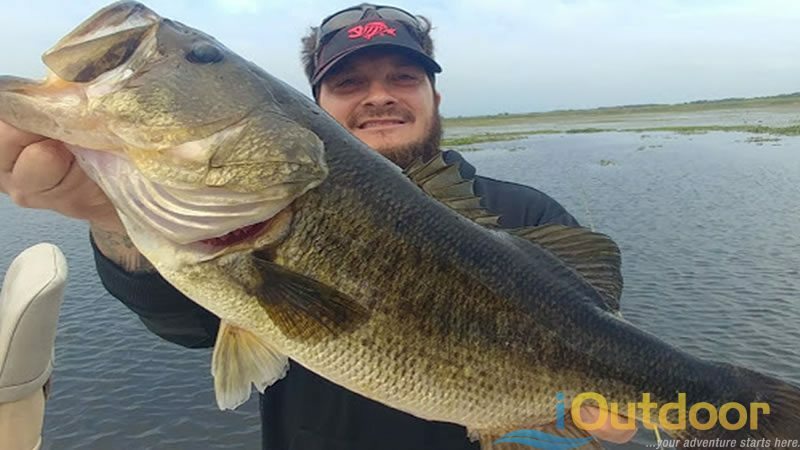 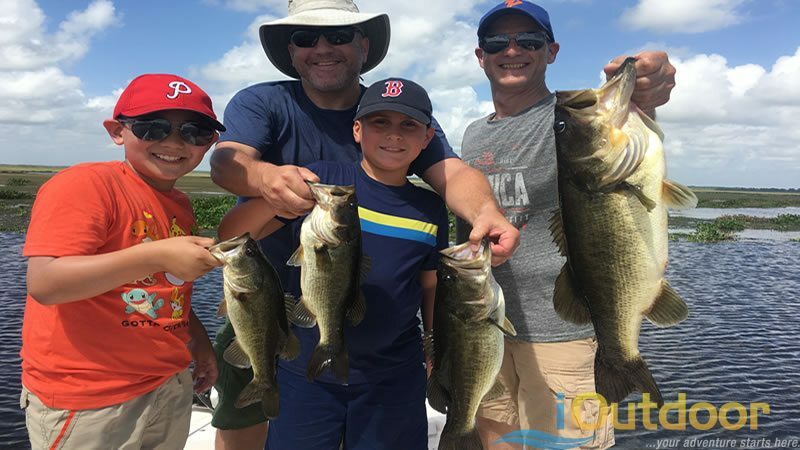 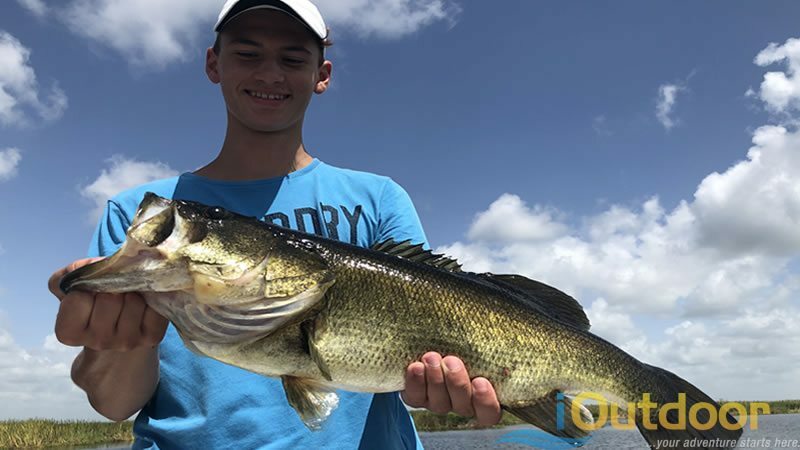 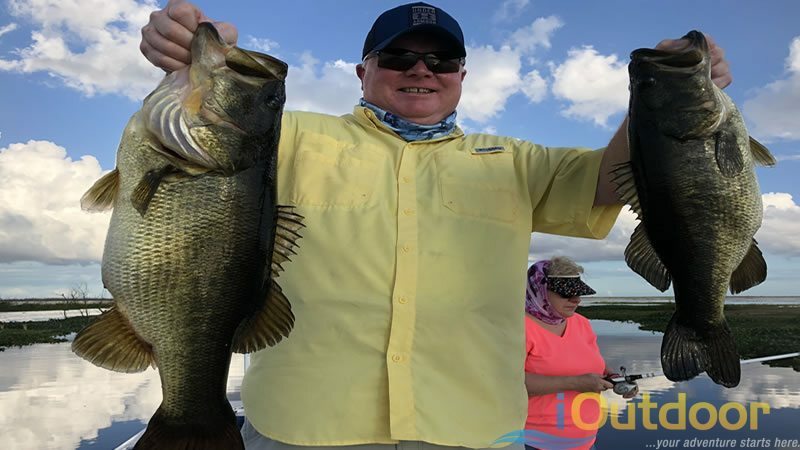 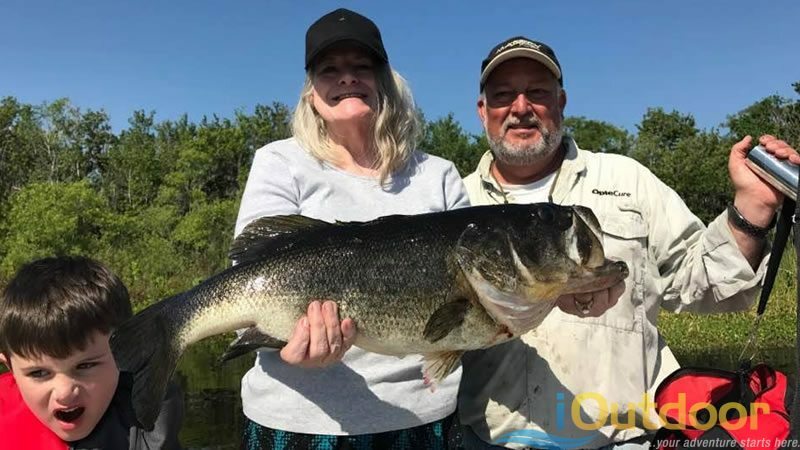 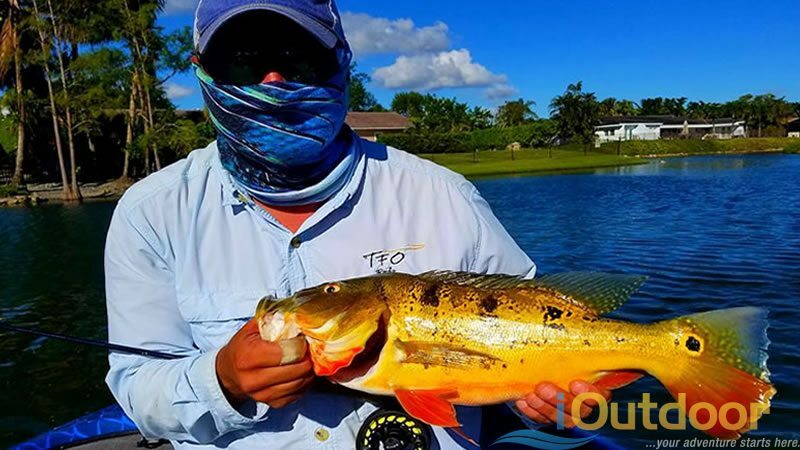 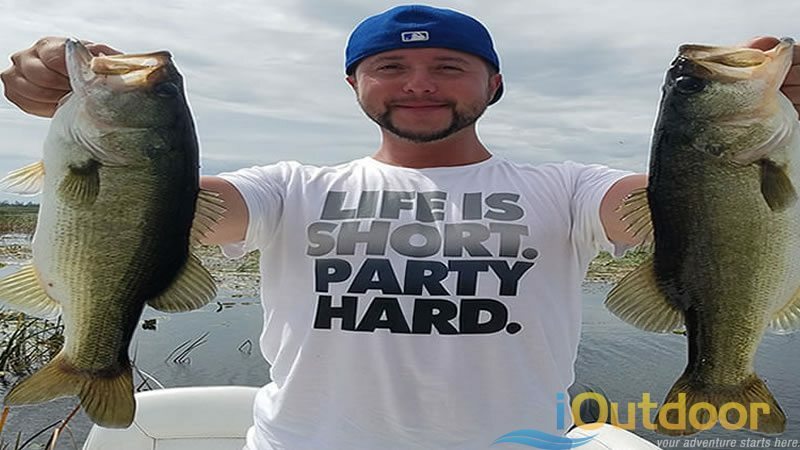 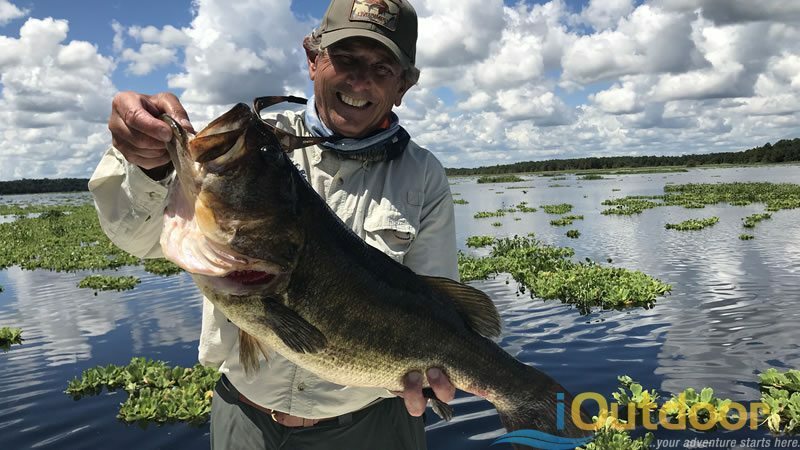 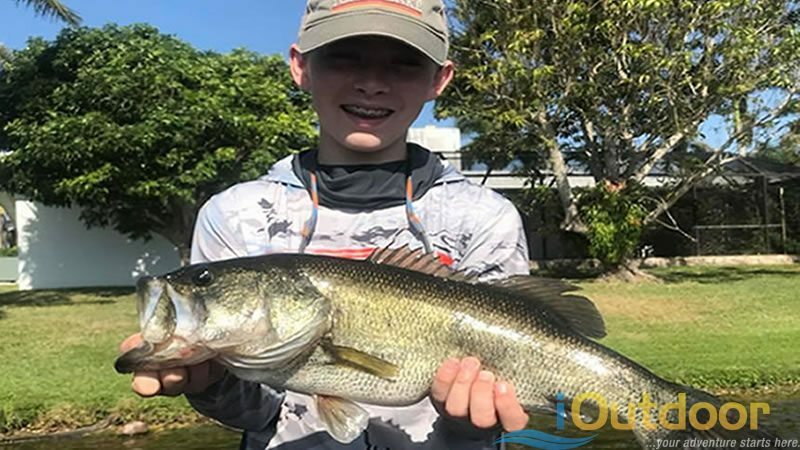 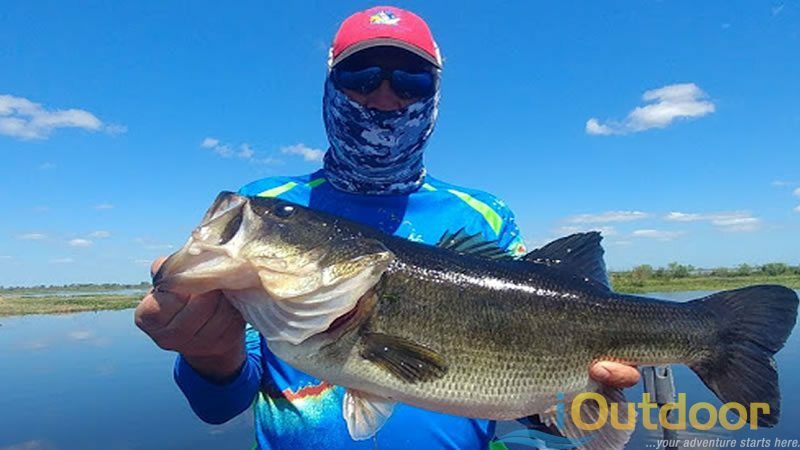 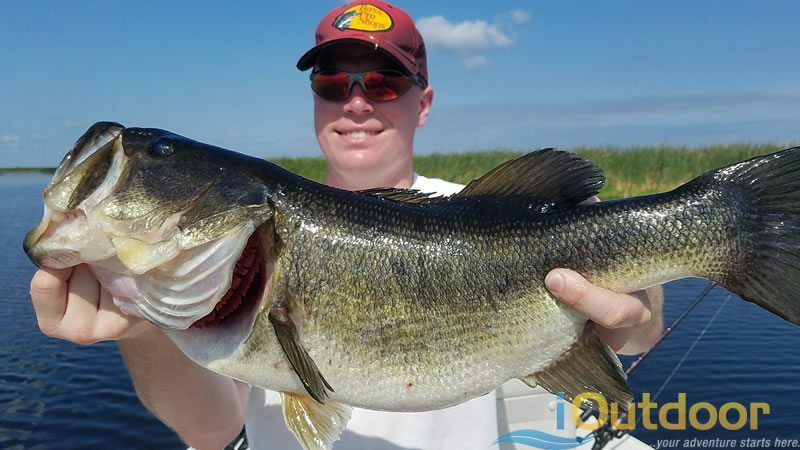 "Florida, the Land of Trophy Bass Fishing"
Florida bass fishing is considered the Capital for bass fishing, home of the best bass fishing in the World. 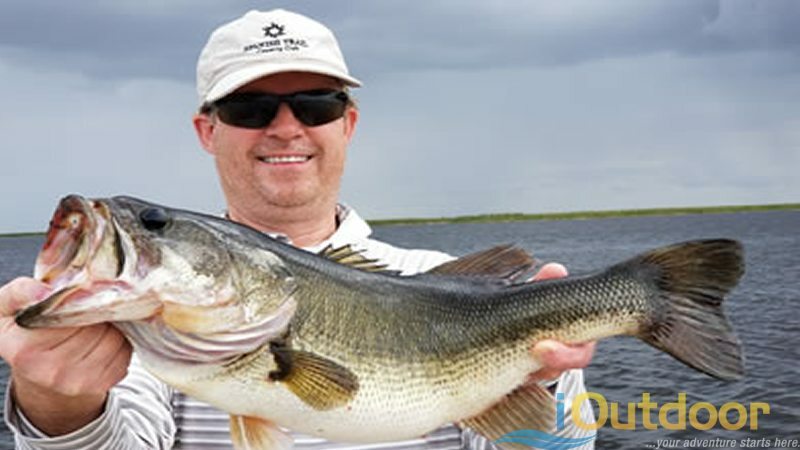 The Sunshine State is a virtual Mecca for bass fishing and is the premier bass fishing destination in the world. 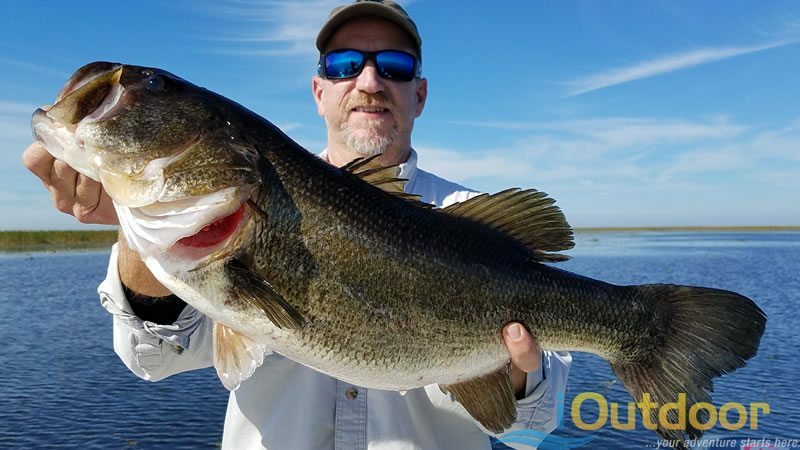 With over 7000 lakes, ponds, canals and creeks throughout Florida, and bass lurking in nearly every one; there is no better place than Florida to catch a big trophy bass! 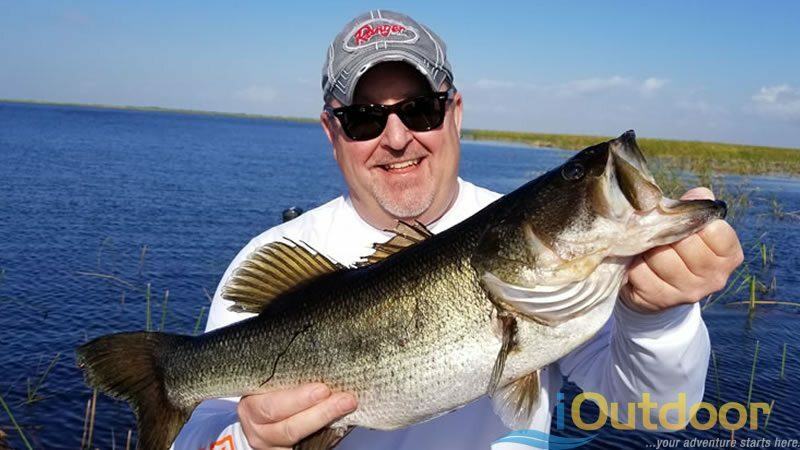 Lake Okeechobee is the most famous lakes for Largemouth Bass in the country. 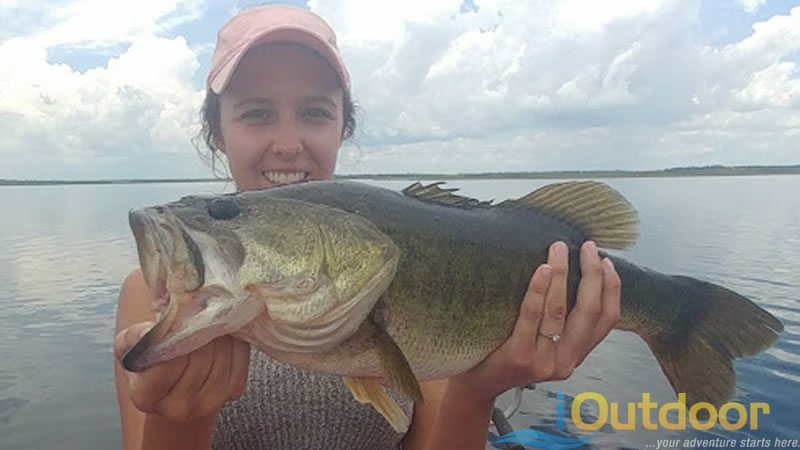 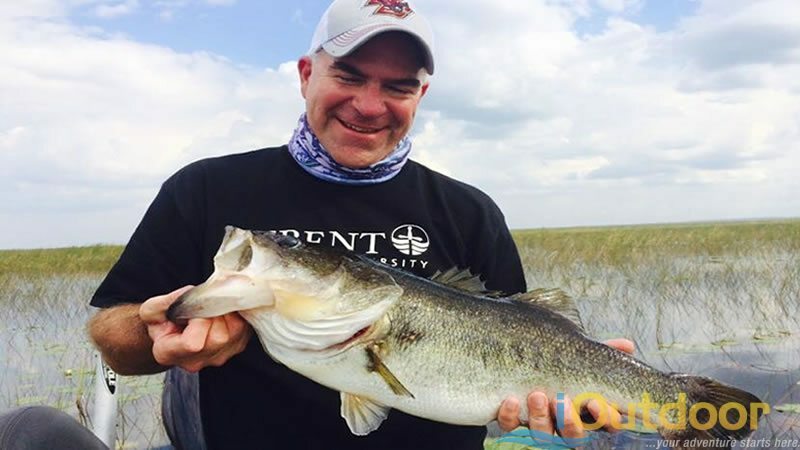 This giant lake located in Central Florida is home to Giant Bass and lots of them. 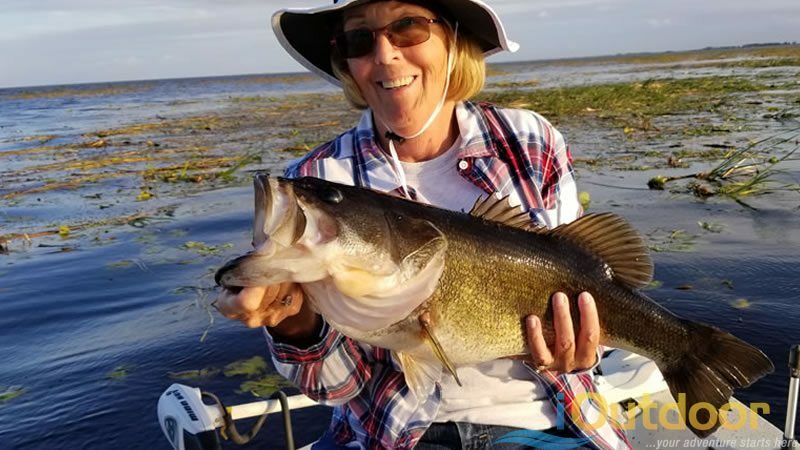 Just South and East of Okeechobee from Palm Beach to Miami you can catch the hard fighting Peacock Bass. 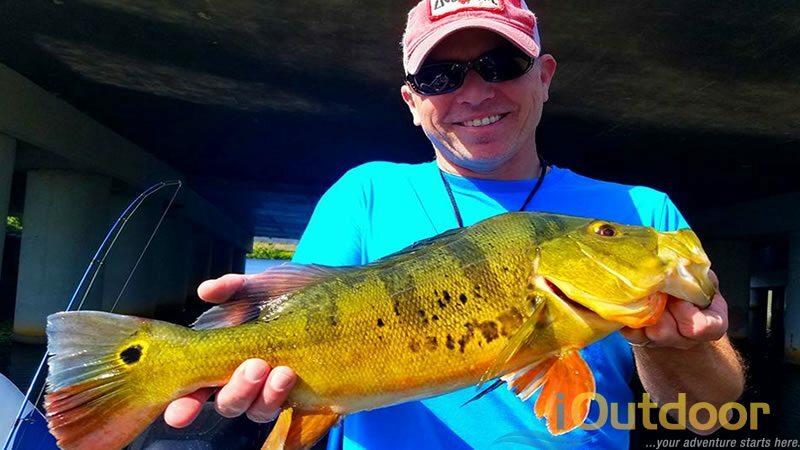 But also has some great speck or crappie fishing as well, and for variety of other freshwater you might try the Snakehead as well. 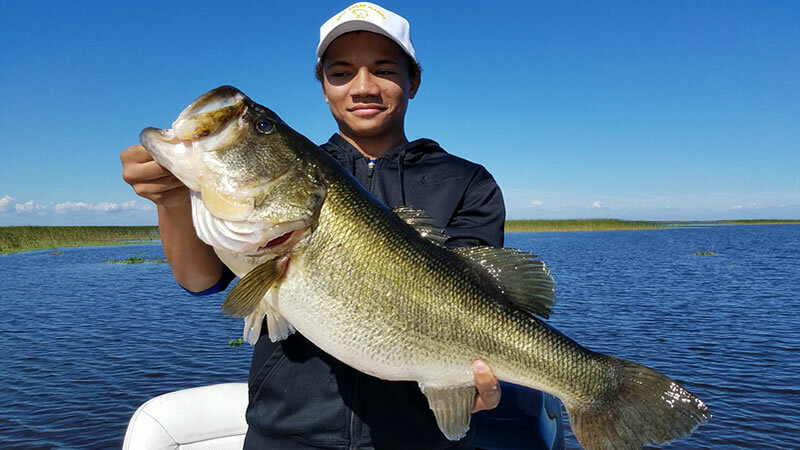 Unknown to many, you can also fish the Everglades for bass and peacock bass. 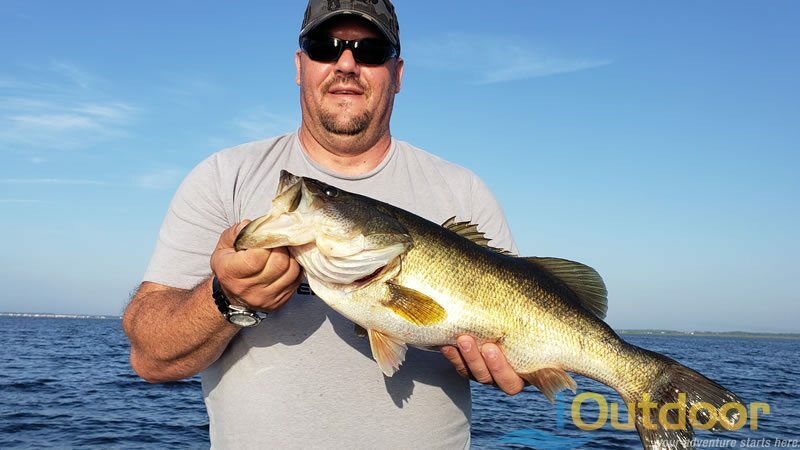 If you’re looking for a real adventure; this wild, natural, unspoiled sanctuary of over 1 million acres offers a real treat for bass fishermen and nature lovers alike. 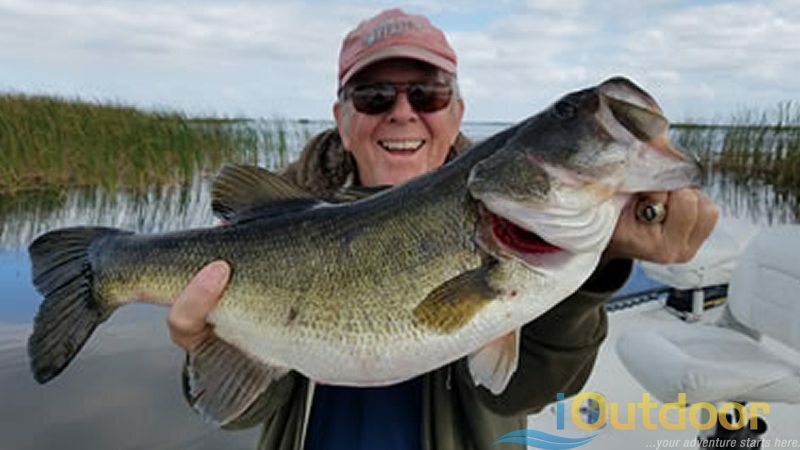 Whether you’re looking for a Florida bass fishing charter and it’s a “once in a lifetime” vacation event or you’re an “old pro” at it. 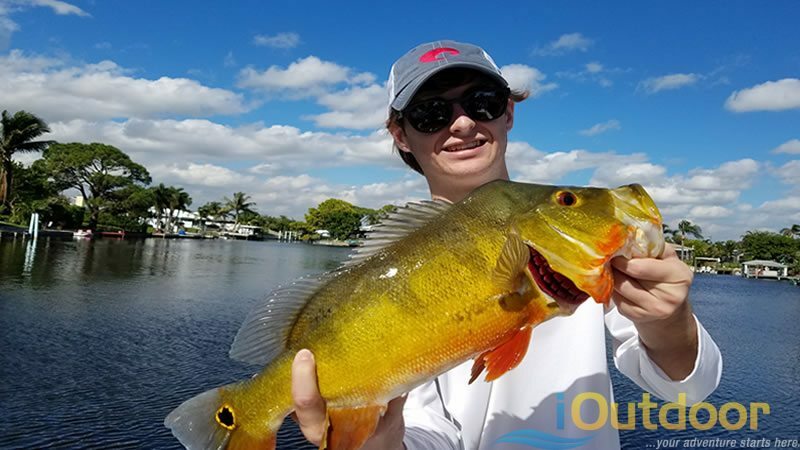 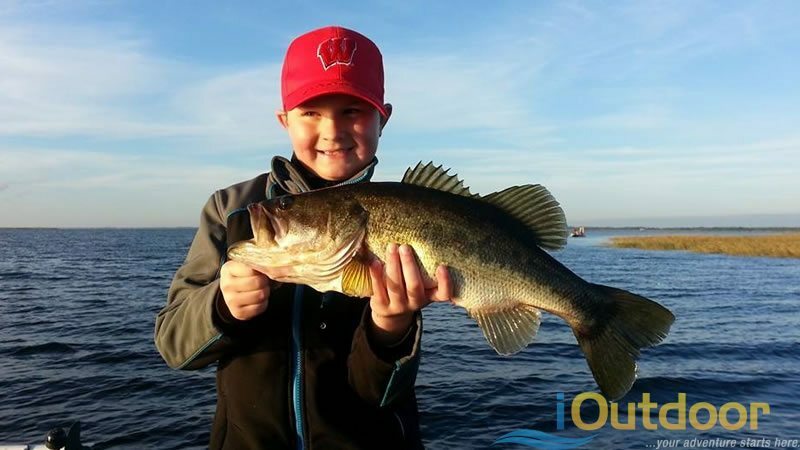 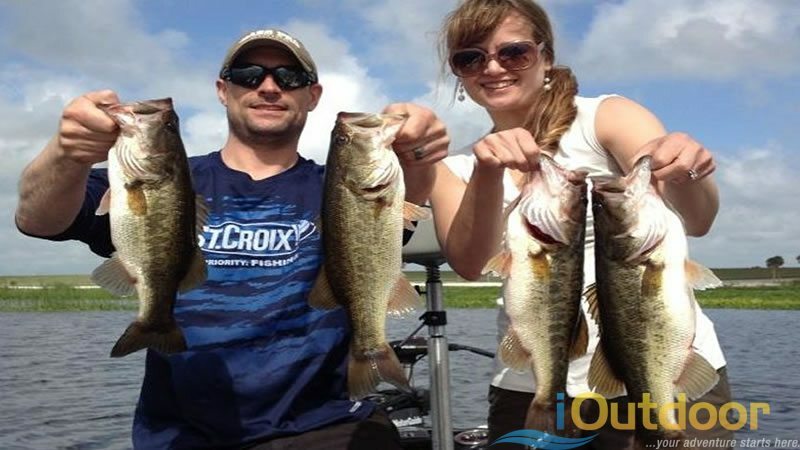 iOutdoors will ensure you obtain the best bass fishing charter experience in Florida. 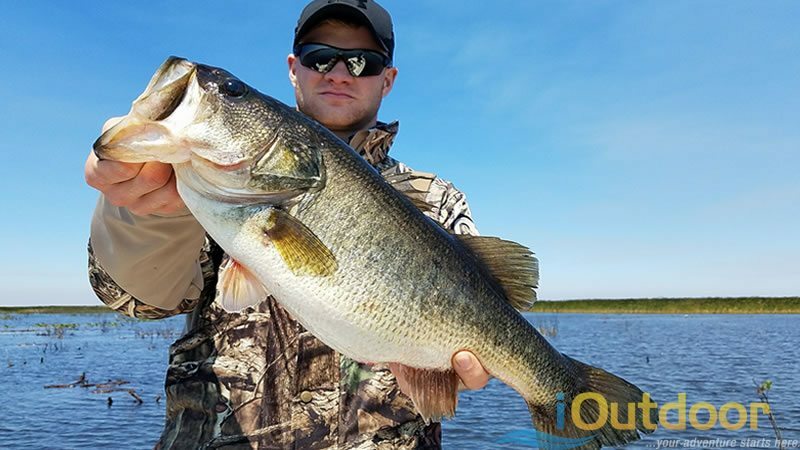 There are hundreds of bass fishing lakes throughout Florida that are stocked full of beautiful bass. 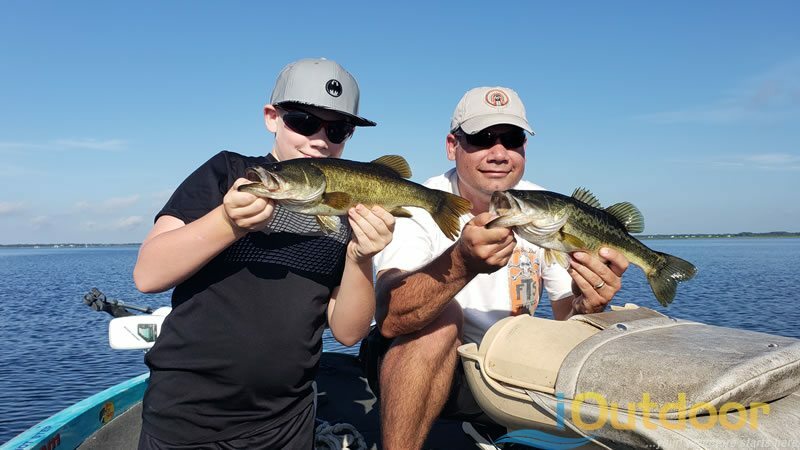 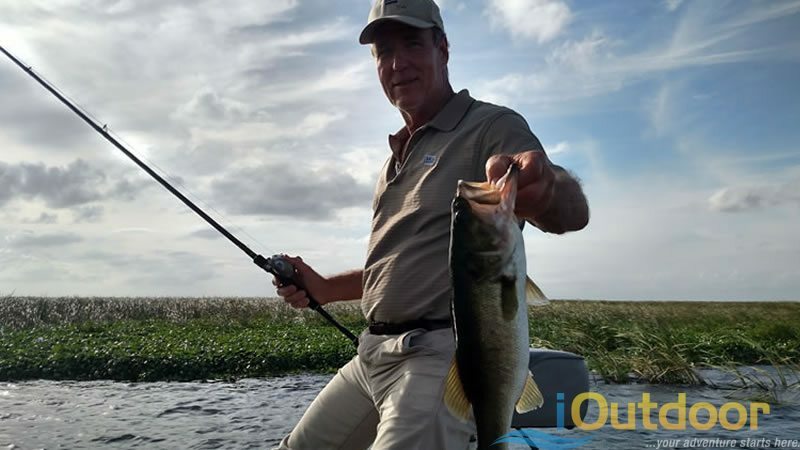 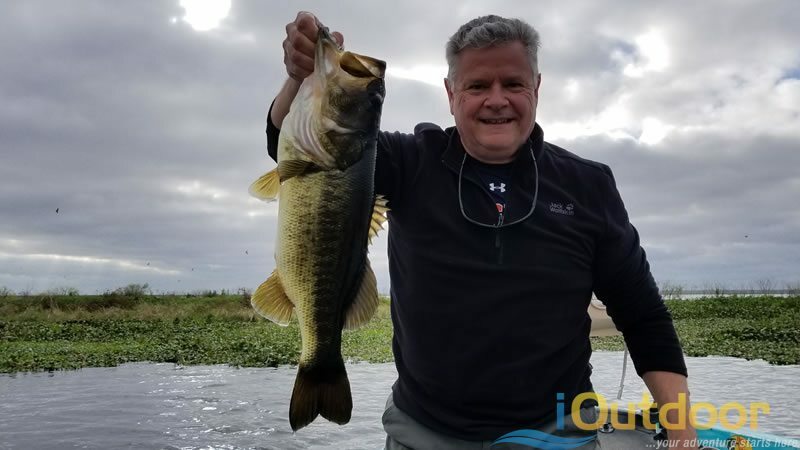 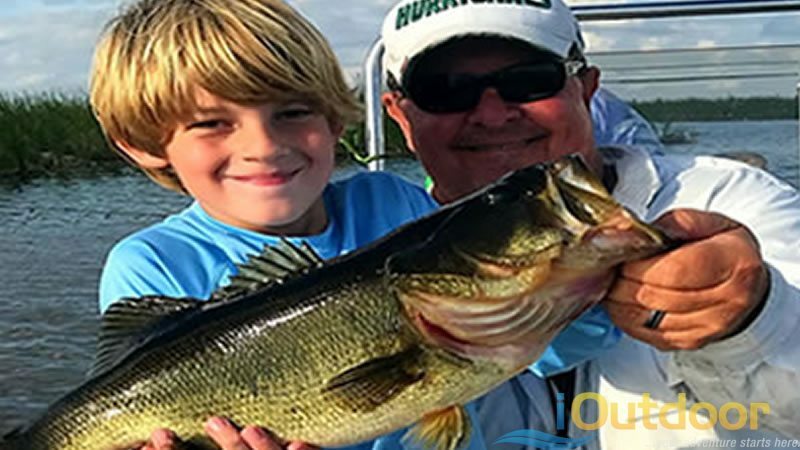 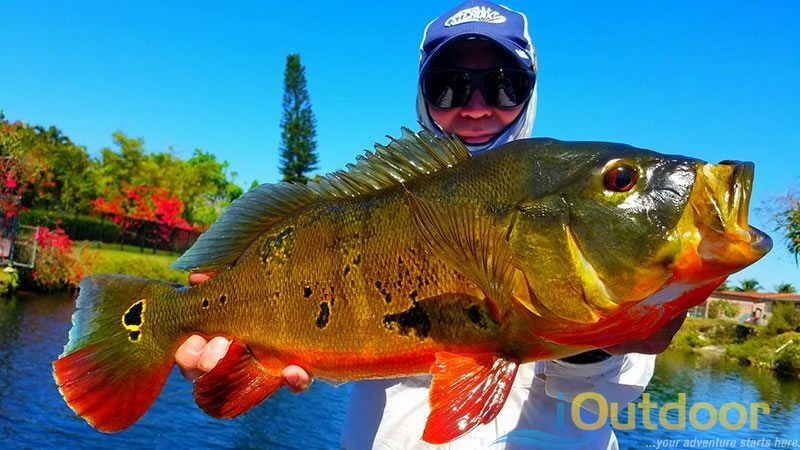 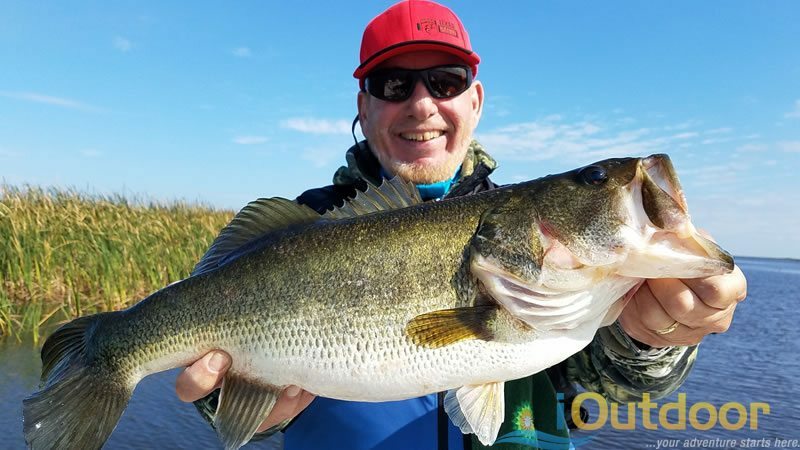 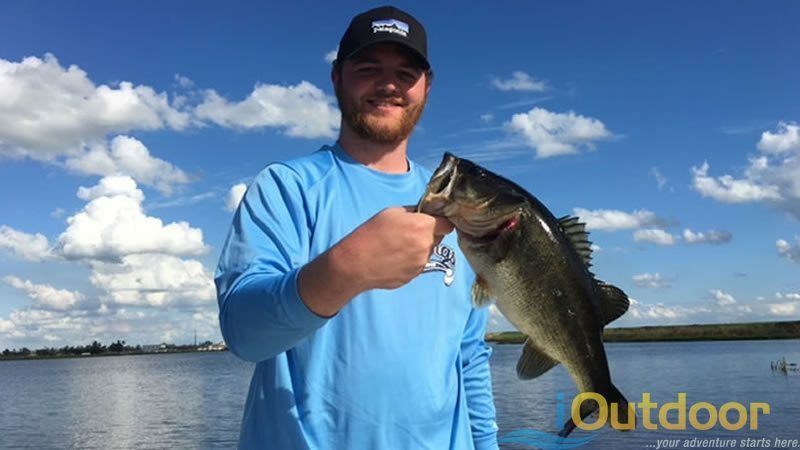 iOutdoor guides are driven to provide you with the best and most successful bass fishing Florida experience. 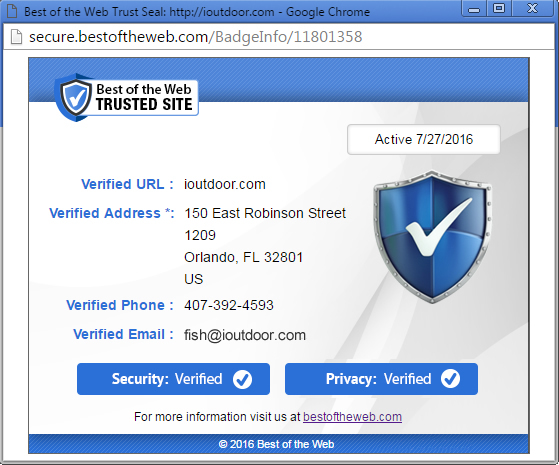 First and foremost, safety is of utmost importance. 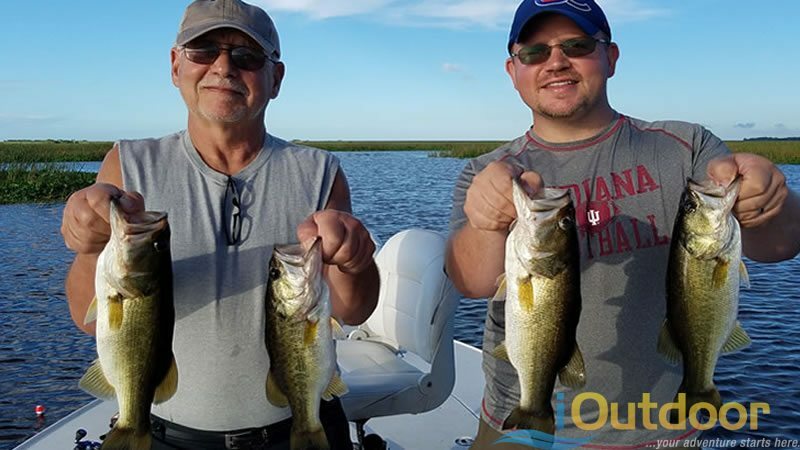 All of our guides are professional, experienced, and Coast Guard Certified if necessary. 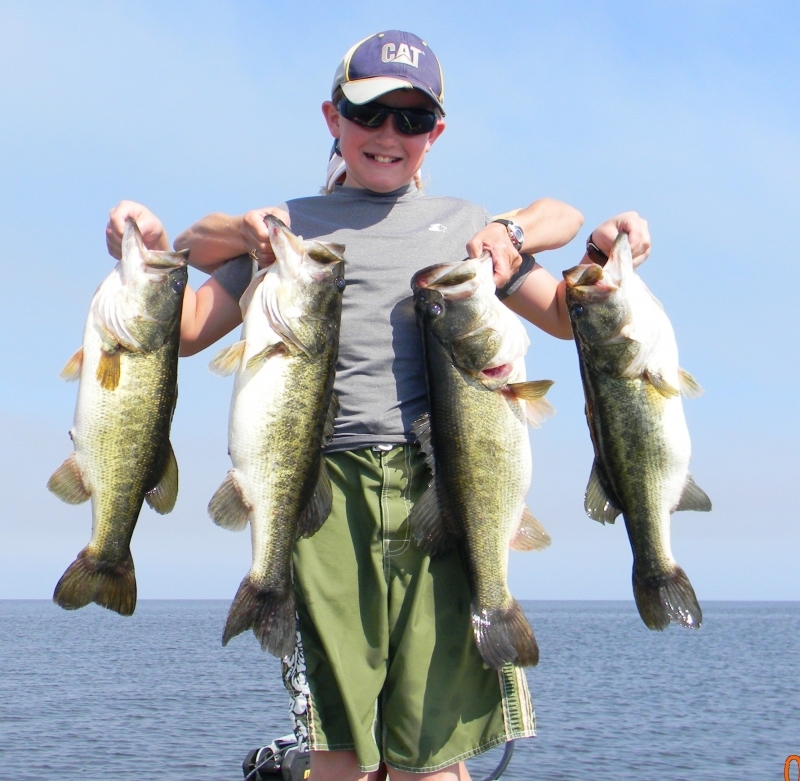 Crews are selected based on their fishing success, safety at sea and condition of boat and equipment. 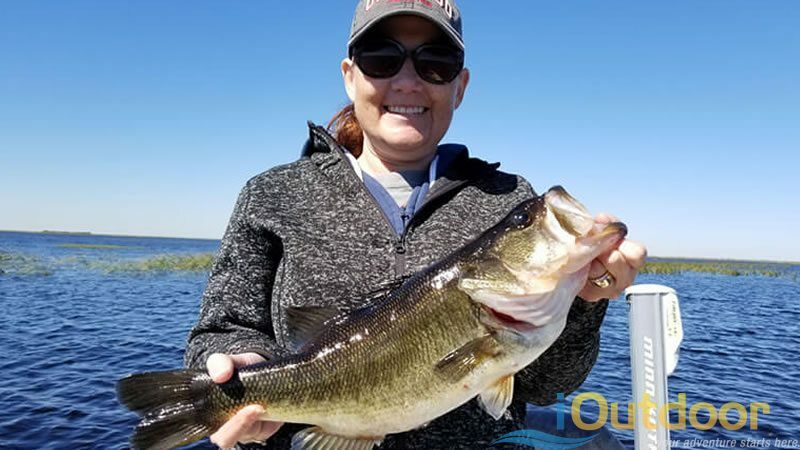 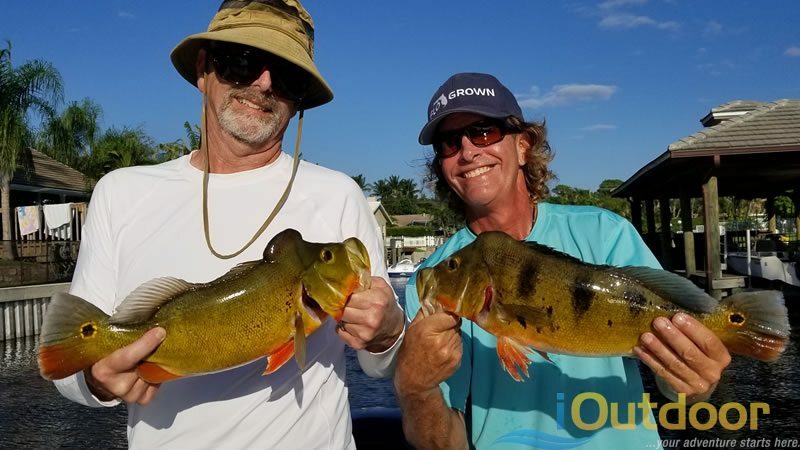 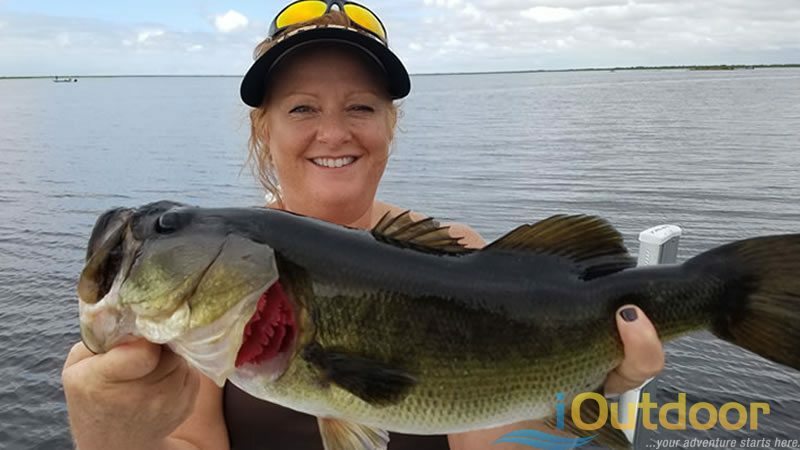 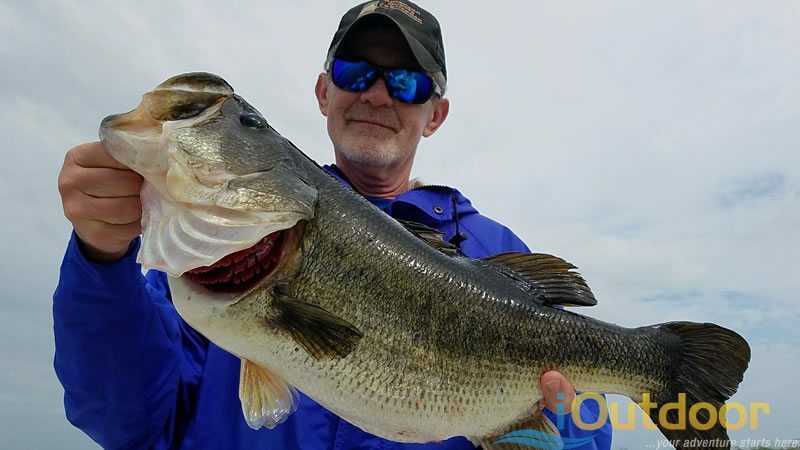 When Bass fishing in Florida on charters they will have all the fishing tackle, bait, license and gear required catch the trophy fish you want. 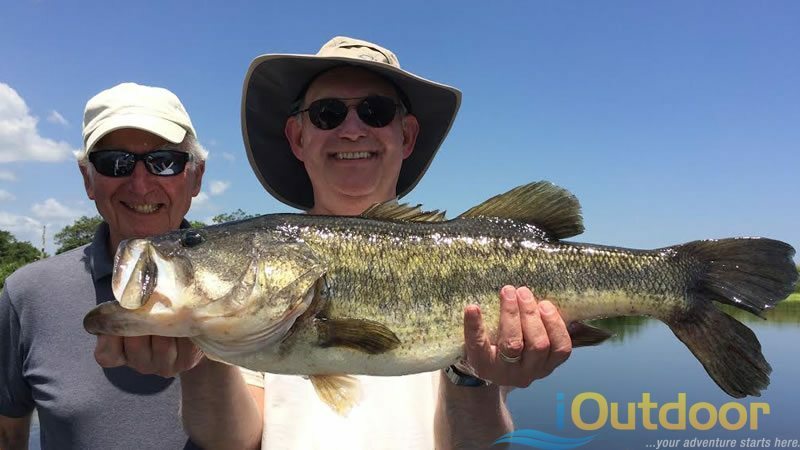 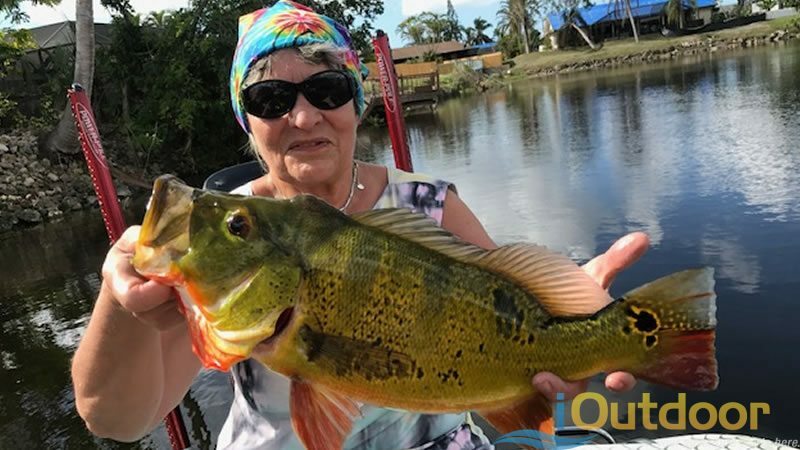 iOutdoor will answer any questions you may have including: where to stay if overnight is necessary, what fishing areas will yield the results you are looking for, appropriate boat size, etc. 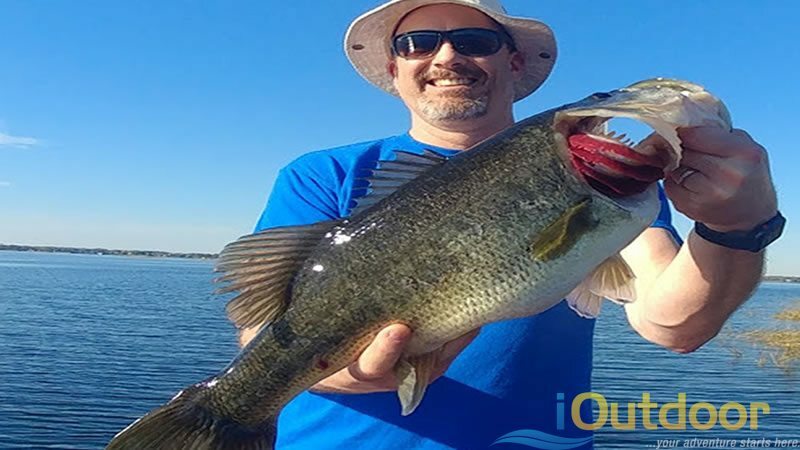 Whatever your bass fishing needs – iOutdoor will make it happen! 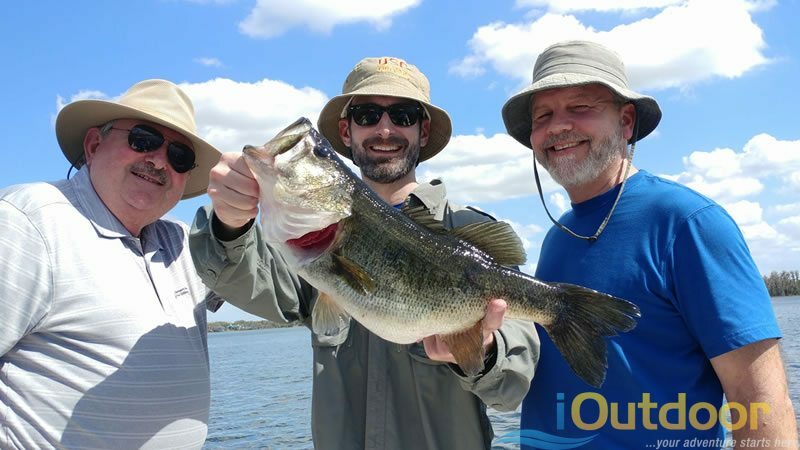 If you have a special lure or fishing rod you would like to use, bring it along! 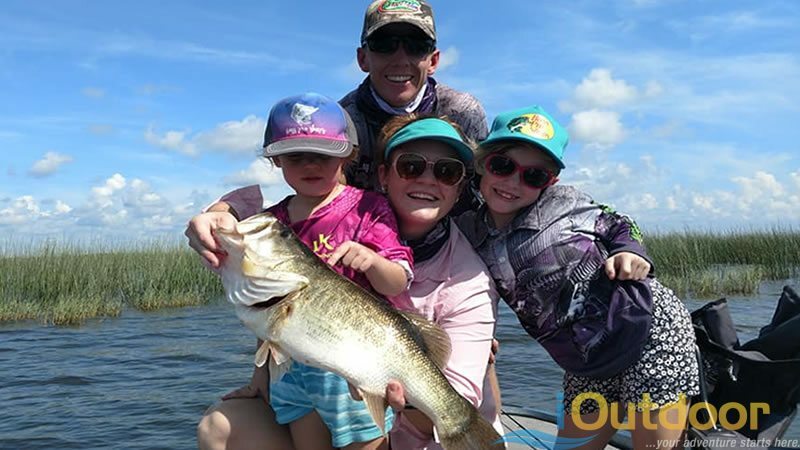 We want your trip to be a safe, successful, and exciting adventure that you will enjoy telling your friends and family about -with the pictures to prove it! 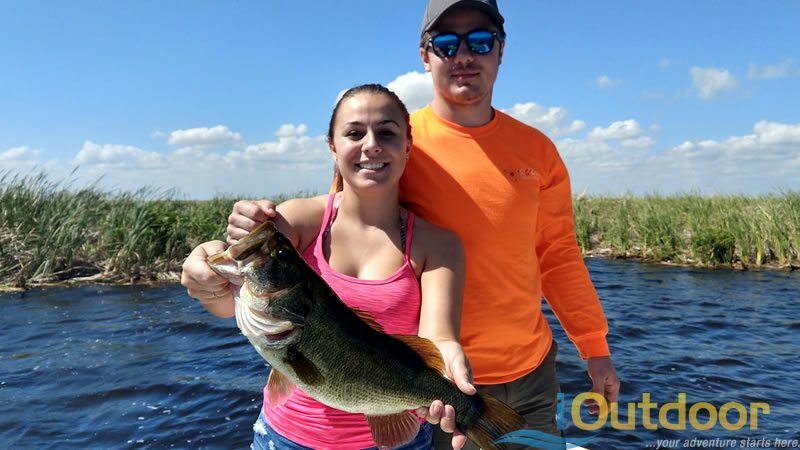 Have Additional Questions about Florida Bass Fishing Charters? 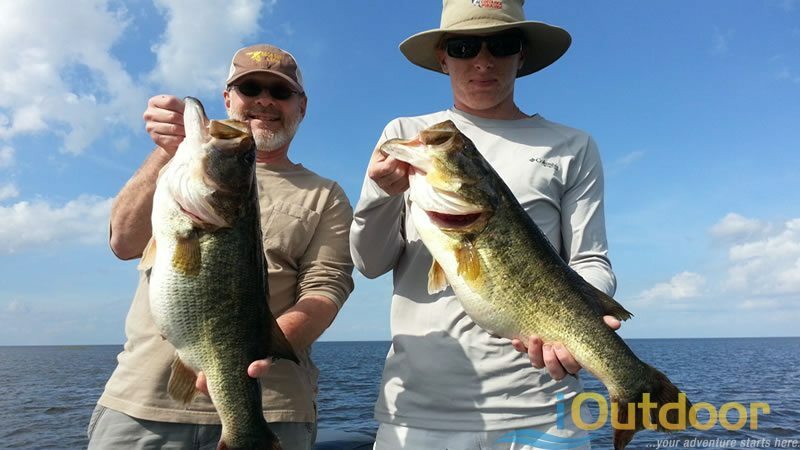 Call us at +1 (888) 412-1117 and let’s start planning your next Florida bass fishing charters now! 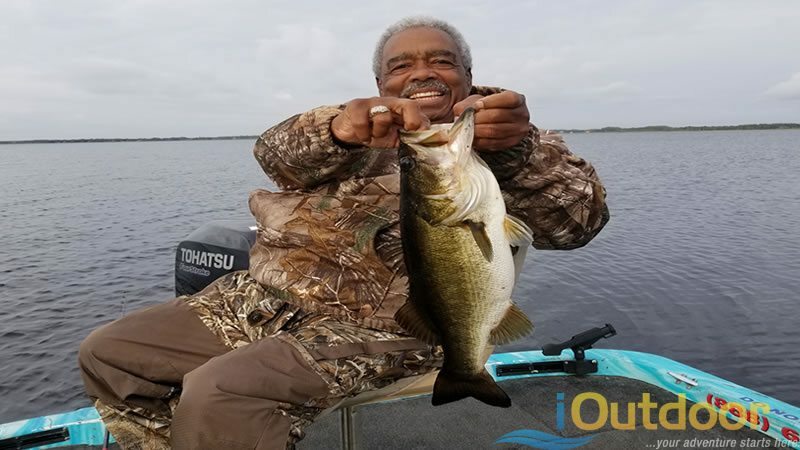 For additional Florida information be sure to go to Visit Bass Online.